Now we have a computer simulation of how the afterward effects of famous Chicxulub asteroid (estimated to be 10 km/6.2 mi) wide) killed the non-avian dinosaurs (and also a wide range of other species). On January 13, 2017, an article titled “Baby, it’s cold outside: Climate model simulations of the effects of the asteroid impact at the end of the Cretaceous”, published by the Climate scientists of Potsdam Institute for Climate Impact Research (PIK), revealed a detailed model of what happened to the atmosphere and the climate after the Chicxulub impact. 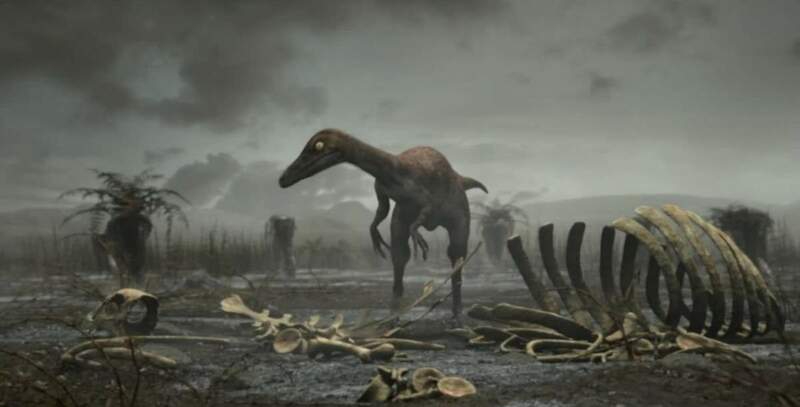 How the darkness and the cold killed the dinosaurs. 66 million years ago, the sudden extinction of the dinosaurs started the ascent of the mammals, ultimately resulting in humankind’s reign on Earth. Climate scientists now reconstructed how tiny droplets of sulfuric acid formed high up in the air after the well-known impact of a large asteroid and blocking the sunlight for several years, had a profound influence on life on Earth. Credit: Potsdam Institute for Climate Impact Research (PIK). According to the computer simulation, after the impact, tiny droplets of sulfuric acid formed high up in the air and blocked the sunlight for many years. The Earth became really, really cold: for at least three years, even in the tropics the temperatures were barely above freezing, and the average global temperature was below 0°C (32°F). Before the impact, the average global temperature was around 26°C (47°F), so this means a huge drop. And the recovery time was more than 30 years! The dinosaurs were used to living in a lush climate, and were already in decline, so they couldn’t survive after the last deadly blow. The drop of the global temperature caused the expansion of the ice-caps, and all these ice continued cooling the Earth by reflecting sunlight back to space, even years after the sulfates cleared from the atmosphere. Then an additional kill mechanism took place: surface water of the oceans cooled and sank, causing the nutrient-rich bottom water to rise. As sunlight returned, probably a massive blooms of algae occurred. These algae produced toxic substances, further affecting life at the coasts. Now we have a computer simulation of how the afterward effects of famous Chicxulub asteroid killed the non-avian dinosaurs.